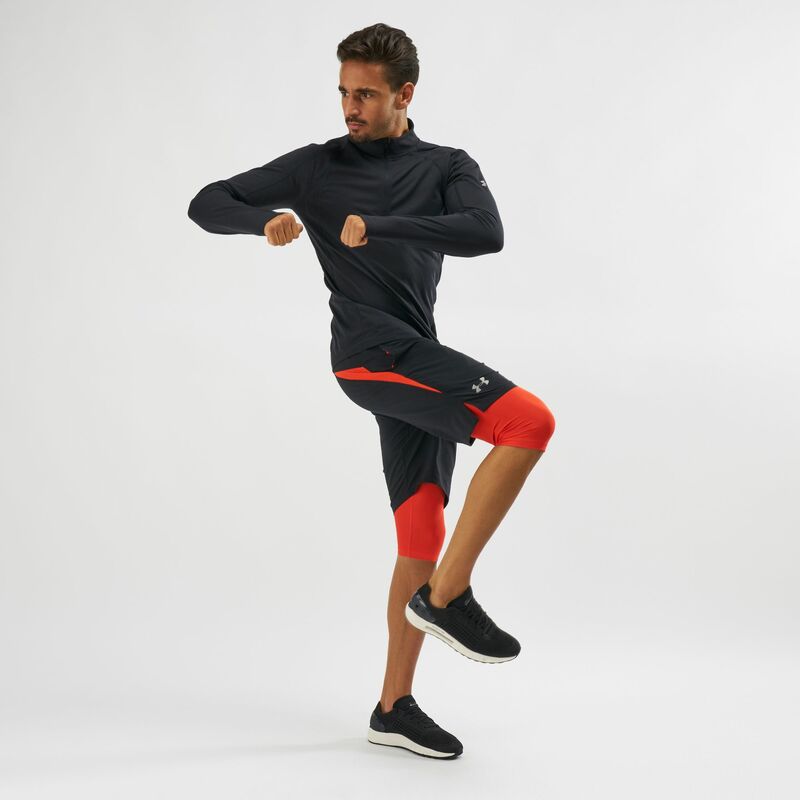 Level up in comfort with the Under Armour Launch SW Long Shorts for men. 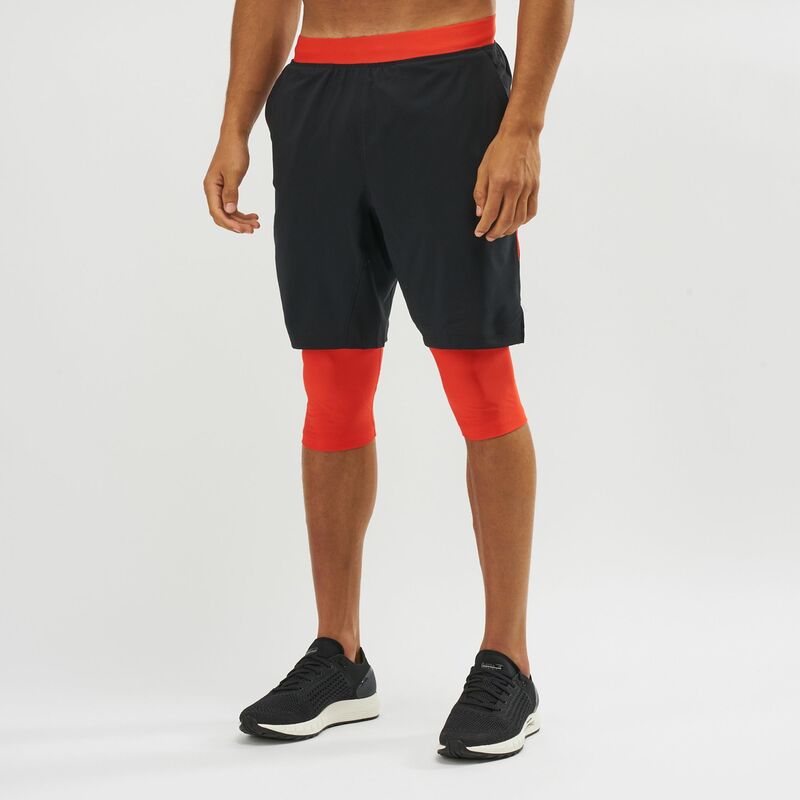 These shorts have built-in HeatGear compression shorts with mesh side panels and hand pockets. Great for running, the elastic waistband with internal drawcord secures the fit while the 4-way stretch adapts to your movements.